1 - Bring on the Remakes and Sequels! 2 - Roll out the reboots! All too often the videogames industry, much like Hollywood, seems overrun with a severe case of sequel-itis. It’s all a bid to play it safe, with proven franchises guaranteeing some measure of success (and revenue) on a regular basis. Annual updates emerge in a multitude of genres, but there are an increasing number succumbing to the law of diminishing returns – I could give a comprehensive list, but you already know the ones I’m talking about. Rebooting critical and/or commercial flops, or reanimating dormant series, is a trend increasingly gathering steam in Hollywood, and studios are looking to overhaul aging and relatively youthful films alike. Some work (Star Trek); some don’t (The Incredible Hulk); and other franchises that have been given a second chance may actually be facing a second reboot (Superman). Part of the reason is what’s perceived to be a lack of risk-taking in the industry, where even resurrecting a previous failure is considered less of a hazard than green-lighting an original idea. So is this something that could happen to videogames? Well, reboots and new tangents are obviously nothing new in the industry. Activision’s Tony Hawk has already had a change in direction with Ride, which aimed to breathe new life into a franchise that had arguably peaked early; while Rayman has taken a backseat to those pesky rabbids for a number of years now. But what about the games that showed a lot of promise leading up to their original release, and failed to become the franchises their developers and publishers had no doubt hoped for? Take Haze, for example. Developed by the now sadly defunct Britsoft studio Free Radical Design, this 2008 PlayStation 3 exclusive shooter aimed high with the promise to deliver an immersive and engaging title at a time when Sony’s console was struggling to find its feet. Hyperbole and anticipation can play a part in the downfall of any title if the end product doesn’t come close to matching pre-release promises, and Haze wasn’t short on hype. Not only was it being developed by some of the key developers behind the still-revered GoldenEye, Haze also looked like it could push the whole genre forward through its use of ‘perception filters’ that hid the horror of war from medicated soldiers. 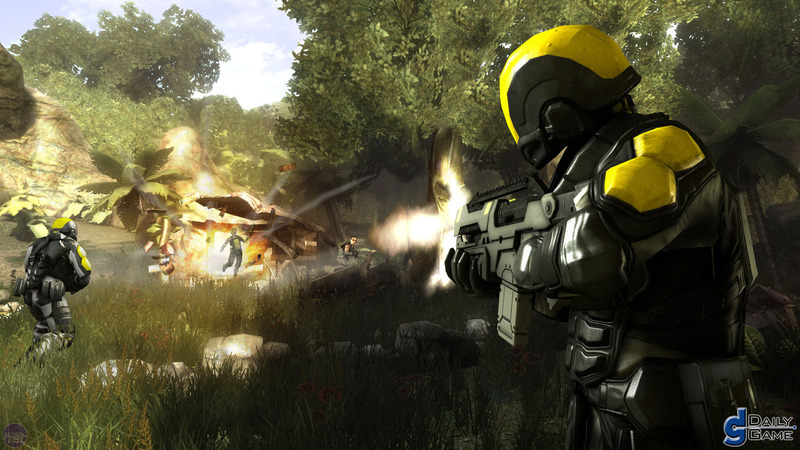 Originally developed as a multi-platform release, Haze eventually landed up a PlayStation 3 exclusive, and with that came the inevitable ‘Halo killer’ badge. Expectations continued to rise as production rumbled - and then it all came to screeching halt. After looking like one of the most promising titles in years, one that could have shaken up the FPS genre, Haze ultimately failed to deliver. Sure, the story just about veered away from being too clichéd, but with lacklustre visuals (something not expected from a PS3 exclusive), questionable AI and poor level design, Haze felt like it had been rushed out of the studio before it was ready. It became well-known as a failure, and it wasn’t long before the game was languishing in bargain bins with a severely marked down retail price. In short, Haze didn’t execute the basics well enough to let the more original features like Nectar enhancements and dynamically rendered environment stand out - which is a shame because the underlying concepts are really interesting and could make for an interesting revival. Difficulties in development are of course nothing new though. One of the most infamous games which almost never made it to shelves is Too Human. Developed by Denis Dyack’s Silicon Knights, the game’s seemingly endless transplants across multiple hardware generations (from PlayStation to GameCube, Xbox, and eventually Xbox 360) over a decade-long production no doubt hindered the final product from reaching the heights it had long promised. A dungeon-crawler in every sense of the world, Too Human’s feature list was expanded upon by the drop-in/drop-out co-operative functionality over Xbox Live, something that’s become increasingly used in other genres, and benefited from the richness of the Norse mythology that was woven through the fiction. Silicon Knights also implemented a control system that largely broke away from modern gaming conventions, removing the camera control from the right stick - a feature hyped up by Dyack ahead of Too Human’s release. The promise of a successful franchise was looking all the more solid when the Too Human demo arrived on Xbox Live ahead of the game’s launch, and over 900,000 Xbox 360 owners flocked to download it. 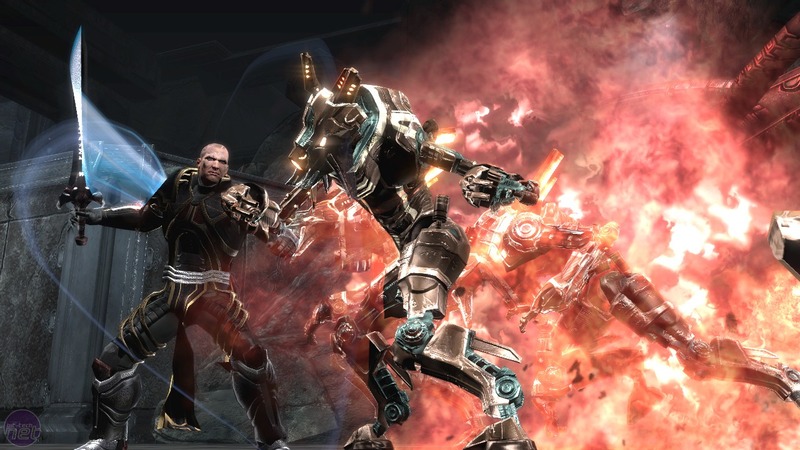 Too Human looked set to become a summer blockbuster. According to sales statistics from NPD Group however, only 168,000 units were sold during its launch month in North America. Critically too, Too Human largely found itself surrounded by mediocre review scores; not long after, Silicon Knights had to slim down its workforce. Besides some of the gameplay failings (the length of the campaign proved a distinct bugbear for many) the legal wrangling between Dyack’s studio and Epic Games didn’t help matters either. There were plans for the Norse-inspired title to become a trilogy, but there’s been no word on Too Human 2 from the studio since the original release. The follow-up seems to have been scuppered by its predecessor’s lukewarm reception. Sometimes a game’s gestation just lasts too long, resulting in a release that fails to capture the zeitgeist and disappears into mediocrity. For now. Whatever happened to three lives and you're dead? Remember when you died when you lost your third life? Were we right to abandon it?